Blurring the Line Between Rideshare and Unregulated Taxi Services. A few weeks ago a friend sent me an email with a link to UBER. Clicking the link resulted in an application page soliciting users to join its fleet of drivers with the pitch, "Earn $20+/hr In Fares - Make Extra Cash Driving Your Car‎" UBER is a smartphone-enabled taxi service. In which they claim is a Rideshare service. Ridesharing does not work they way UBER claims it works, they have tried blurring the line that much, that when I tell people about LifeSocial Rideshare people are immediately confused. "Ohh like UBER", NO.. we are not an illegal taxi service and we were around before UBER. Years ago when I started building the LifeSocial Rideshare platform, it was intended to help reduce cars on the road and help people without cars to travel. The only cost involved is to evenly distribute the costs of the trip such as fuel, parking, tolls and it's optional. Drivers do not have to share costs if they did not want to and more often than not the driver was going in the same direction as the passenger making it even more sense to share your ride. This is legal on the premise that they are friends or you know the person. LifeSocial Rideshare has a friends network, that allows people to get to know each other first before taking a trip, share conversation, pictures and experiences. Today we see an attempt by UBER, Lyft, SideCar and many other smartphone-enabled applications to instantly match you with a driver, not a friend. 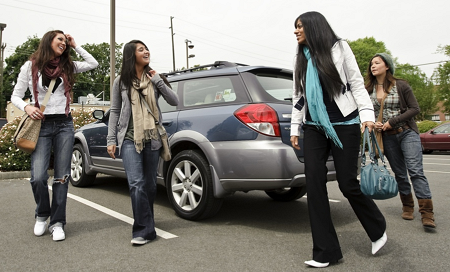 Trips are calculated at a rate per kilometer and are not a representation of the cost of the trip being shared between the driver and the passenger. Therefore UBER, Lyft and SideCar are alternatives to a Taxi Service. Where a driver you often do not know has shown up to take you to your destination. The driver is not actually wanting to go in the same direction that you are, the driver is just there to make some cash. Im tired of hearing the term Rideshare loosely used to describe what is not Ridesharing. UBER, LYFT AND SIDECAR ARE NOT RIDESHARING. THEY'RE A TAXI SERVICE. END OF STORY. On an additional note, the Australian Government need to actually do something and give these companies a cease and desist notice just like the Canadian Government did recently. Yes we need better fares and better service from taxi companies but stealing the lunch from a legal taxi driver is not the answer.